The author, Elain Harwood, is a historian with English Heritage specialising in post-war architecture, and has researched the work of Chamberlin, Powell and Bon for many years, initially to secure the listing of the best examples. The book is illustrated with images from CPB’s rediscovered archive and specially commissioned colour photography by James O. Davies, and is an essential read for architects, students, architectural historians and anyone who is interested in learning more about a key practice in British post-war architecture. 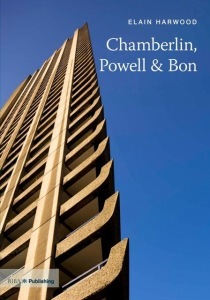 Who were Chamberlin, Powell and Bon?